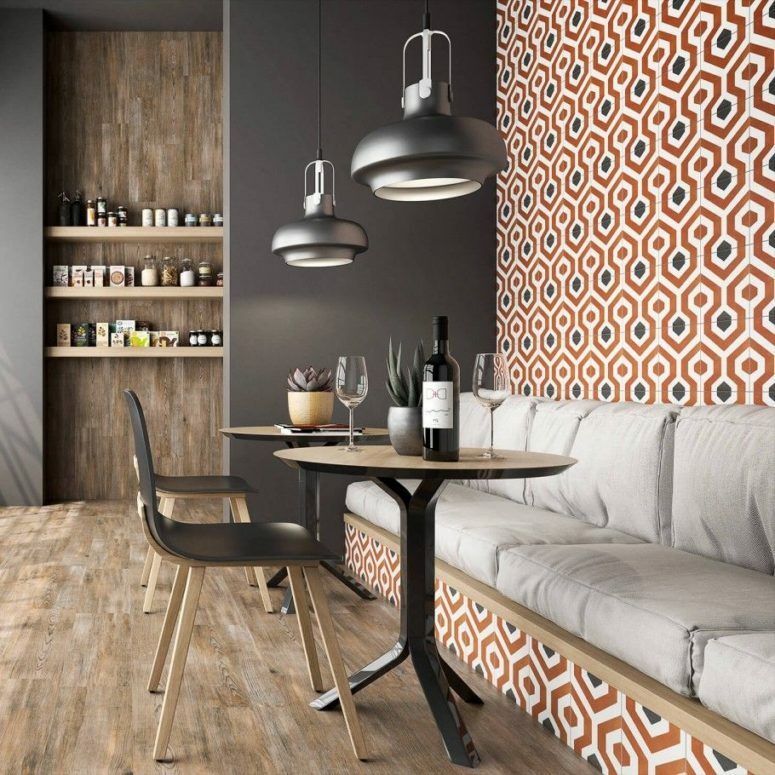 Eye-catchy and bold tiles bring interest to bathrooms and kitchens and to any other spaces where you use them, too. 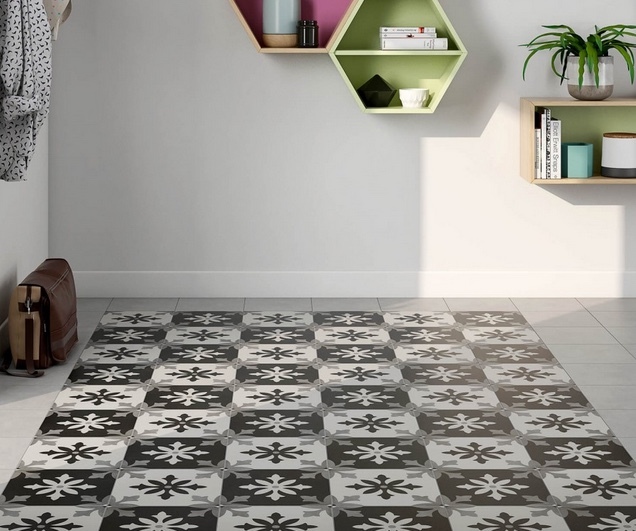 If you are looking for some and don’t know what to choose, the Bella collection of encaustic porcelain tile by Tile Bar includes 13 options with beautiful patterns and colors. 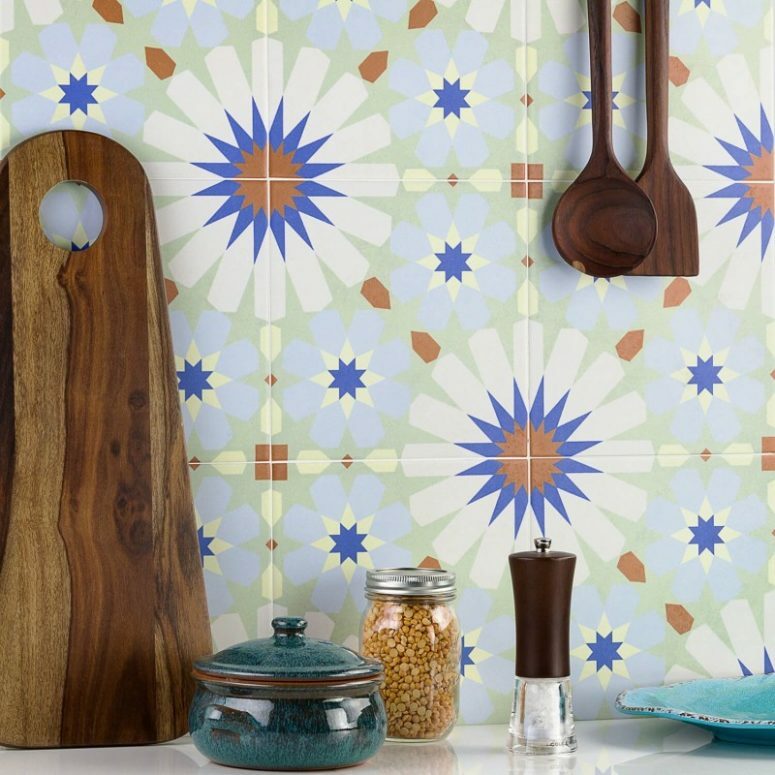 Regarded as an art form since the 1800s encaustic tile brings complex patterns to vertical and horizontal surfaces. Six neutral options include black and white Mori, which features a dynamic Greek key design, and gray-toned Picasso (available in Nero and Blanco), which presents an intricate floral motif. Soumaya plays with hexagonal shapes in bold orange and gray hues. 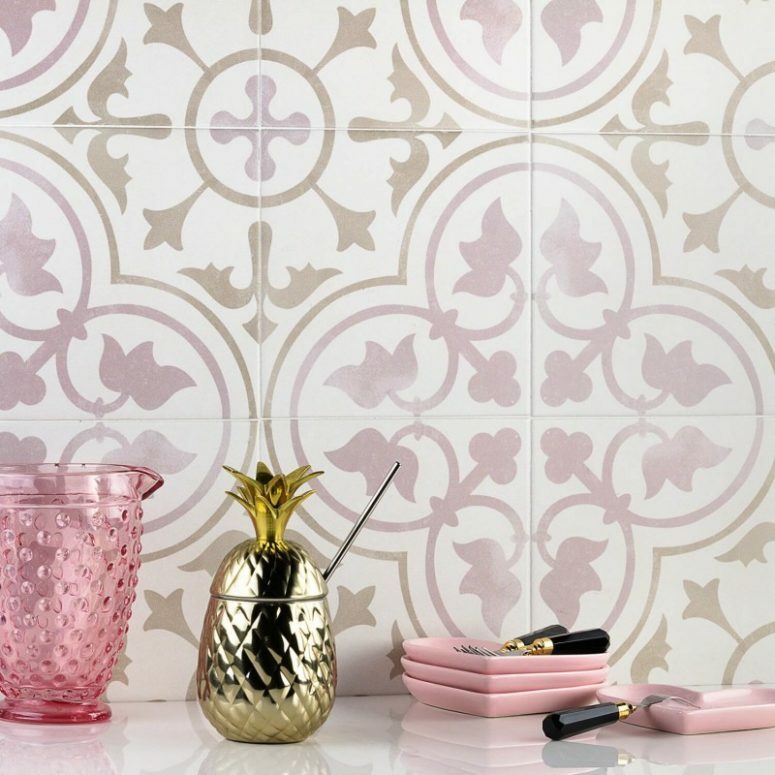 For pastel lovers, Bella offers petal pink Tate and baby blue Moma, both ornamental patterns that harken back to historical encaustic tiles. Uffizi is a festival of color and geometry. 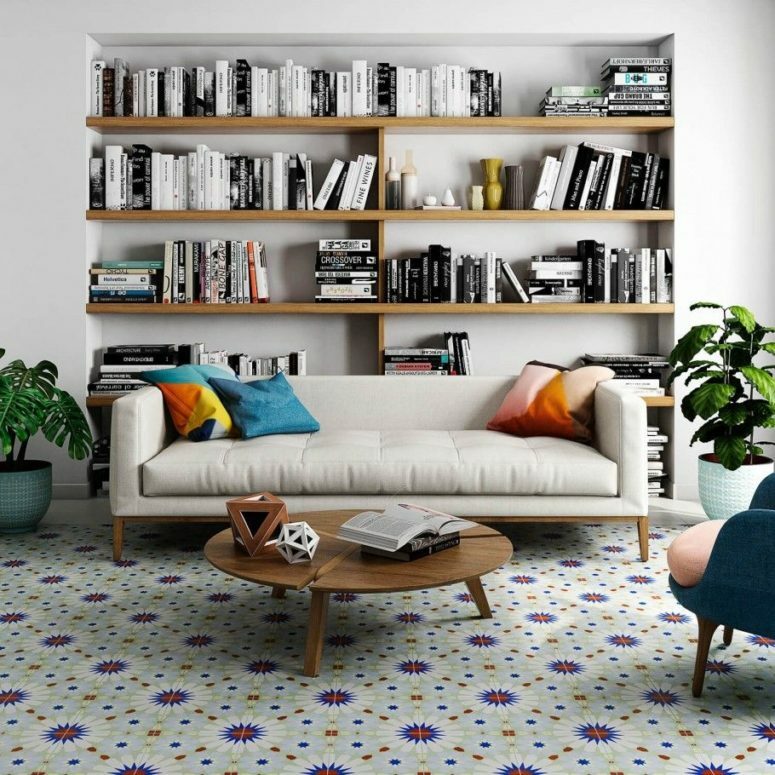 The tile includes blues and browns in inventive bursts of pattern resembling everything from Islamic stars to Chinese fireworks. Choose your perfect pattern and colors to make your space bolder.